International scheduled traffic results for January show an 8.2 percent increase in passenger traffic and 9.1 percent growth in air freight compared to January 2010, according to the International Air Transport Association (IATA). IATA said it is watching closely as events unfold in the Middle East and that the region’s instability has sent oil prices skyrocketing. “We begin the year with some good news. January traffic volumes are up—8.2 percent on January 2010 and 2.6 percent on December. With most major indices pointing to strengthening world trade and economic growth, this is positive for the industry’s prospects. But we are all watching closely as events unfold in the Middle East. The region’s instability has sent oil prices skyrocketing. Our current forecast is based on an average annual oil price of $84 per barrel (Brent). Today the price is over $100. For each dollar it increases, the industry is challenged to recover $1.6 billion in additional costs. With $598 billion in revenues, $9.1 billion in profits and a profit margin of just 1.5 percent, even with good news on traffic 2011 is starting out as a very challenging year for airlines,” said Giovanni Bisignani, IATA’s Director General and CEO. By January 2011, air travel volumes were 18 percent higher compared to the low point reached in early 2009 and some 6 percent above the pre-recession peak of early 2008. The 8.2 percent growth in passenger traffic shows a recovery from December’s slowdown (with 5.4 percent growth) that was related to severe weather in Europe and North America which reduced total traffic by 1-2 percent. Passenger load factors are high, IATA reports, but there is evidence that supply growth is beginning to run ahead of demand. Compared to the previous January, the 8.2 percent demand increase was outstripped by a 9.1 percent increase in capacity, resulting in an average load factor of 75.7 percent. Adjusting for seasonality this is equates to a 77.7 percent load factor. This is a 1.1 percentage point drop from the October 2010 peak. North American carriers recorded an 8.7 percent year-on-year growth in demand and a 10.0 percent increase in capacity in January. This imbalance saw load factors slip by nearly a full percentage point to 77.2 percent. International passenger traffic carried by North American airlines has now recovered to 2 percent above its pre-recession peak of early 2008, IATA said. “As if the rising price of oil was not challenging enough, governments are increasing the cost of mobility with a growing contagion of taxes. In 2010 the industry was hit with billions of dollars of new or increased taxes in the UK, Austria and Germany. Now we see South Africa and Iceland planning increases. Governments need to improve their finances and restart their economies. Mobility is a catalyst for economic growth. Governments must understand that taxing air transport out of the range of price sensitive travelers and businesses makes very little economic sense,” said Bisignani. IATA’s forecast for 2011 was made in December 2010 and anticipates an industry profit of $9.1 billion or a 1.5 percent net profit margin on $598 billion in revenues. This is based on an average annual oil price of $84 per barrel, a demand increase of 5.3 percent, flat cargo yields and a 0.5 percent increase in passenger yields. IATA said it will revise its forecast on March 2. Today, Lufthansa begins regular, scheduled flights from Frankfurt to New York’s John F. Kennedy International Airport on its A380 aircraft. Inaugural flight LH400 departed Frankfurt at 11:05am and is scheduled to touchdown at JFK at 1:35pm. Lufthansa plans to increase the frequencies to JFK subsequently, and will ultimately offer daily service. New York’s JFK airport now is Lufthansa’s fourth A380 destination after Tokyo, Beijing and Johannesburg. Flights are available for booking on http://www.lufthansa.com. “New York is one of the most important markets for Lufthansa, so it was imperative for us to launch transatlantic flights on our flagship aircraft to this U.S. gateway,” said Jens Bischof, Vice President The Americas for Lufthansa. Lufthansa has equipped the A380 with 526 seats in a three-class configuration. Today’s A380 flight also marks the introduction of the brand-new First Class cabin to the North American market. It features eight seats on the upper deck, each measuring 6’9” feet in length and 2’7” feet in width. Best of all, the two first class bathrooms have separate changing and lavatory areas with more personal space and storage options. Also on the upper deck is the award-winning Business Class cabin with 98 with larger luggage bins and a power supply that works with all worldwide connections. On the main deck are 420 Economy Class seats with individual in-seat video screens, an optimized ergonomic seat design and slimmer seat back resulting in two more inches of personal space per passenger. Lufthansa has ordered a total of 15 A380 aircraft, all scheduled for delivery by 2015. Four A380 aircraft are already delivered. 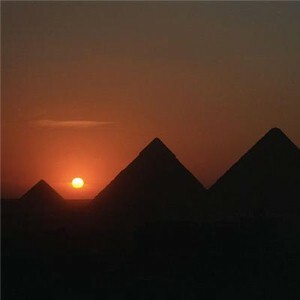 Egypt has been through some rough times lately but travelers who are planning their Eastern Mediterranean Vacation may be happy to know that the country’s minister of antiquities recently announced it will reopen tourist sites this weekend. These include all of the Pharaonic, Coptic, Islamic and modern landmarks. Vacationers can enjoy the beautiful and awe-inspiring structures that Egypt has to offer by heading to Giza, just 12 miles southwest of central Cairo. There, they can view some of the world’s oldest and most amazing monuments such as the Great Sphinx, the Great Pyramid of Giza and many temples. Tourists can stay in the country’s capital and explore The Museum of Egyptian Antiquities which contains more than 120,000 items including 27 royal mummies. However, one of the most iconic artifacts is Tutankhamun’s golden mask, which is a must see on any excursion to the facility. The museum is opened Wednesday and Thursday from 9 AM to 5 PM, Fridays from 9 AM to 8 PM and on Saturday and Sunday from 10 AM to 6 PM. You are currently browsing the TOURIST LIFE TRAVEL & TOUR blog archives for February, 2011.